This is a rather old and not such a good picture, but anyway I wanted to include this as it’s impossible to get such shots today. 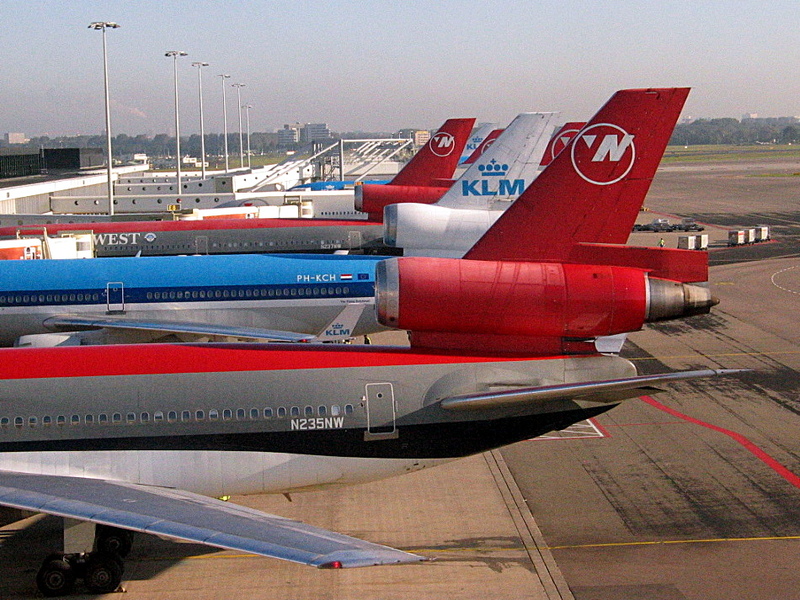 What we can see is an amazing display of triholers parked at Amsterdam Schiphol’s E-pier. The nearest one is N235NW, a DC10-30 which was delivered to Korean Air in 1975, but flew for Northwest from 1996 to 2007. Since then, it was flying for ATA and World Airways before being stored in 2011. The next plane is PH-KCH, an MD11 which operated for KLM from 1995 to 2012. Further on, you can spot three more DC10s of Northwest.